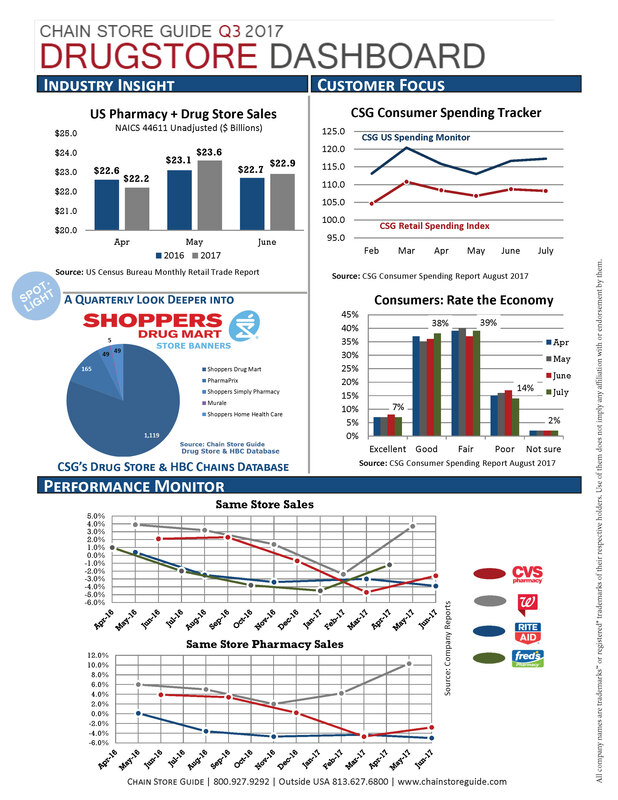 Another quarter is in the books, and it’s another opportunity to take a look at the retail drug industry in a new Chain Store Guide Drugstore Dashboard. Same store sales and same-store pharmacy sales bounced back during the most recently booked quarter at Walgreen’s, but no such luck for CVS, Rite Aid and Fred’s where comp sales were again on the wrong side of zero. For the industry as a whole, sales were up in May and June as compared to last year for the first time since January. Zooming out even further, CSG’s own polling data from our Consumer Spending Report demonstrates the overall mood of consumers is to keep spending as they have in the recent past with no large upswing or downswing.